Robin Asbell has been immersed in whole, real foods cooking for most of her life, and has written several books to help share the secrets to making foods that taste great and make you feel good, too. Her latest book, Great Bowls of Food: Grain Bowls, Buddha Bowls, Broth Bowls and More (Countryman Press May 2016) is all about building tasty, versatile bowls that everyone can customize and enjoy. Families, singles, adults and kids will love these flexible, colorful and delicious recipes. * The Whole Grain Promise; Over 100 Whole Grain Recipes to Jump Start a Healthier Diet (Running Press, October 2015) is an accessible, family-friendly collection of great recipes. * Juice It! (2014, Chronicle Books) and Gluten Free Pasta (2014, Running Press) hit bookstore shelves, giving people recipes and inspiration to eat better. *Sweet and Easy Vegan, Treats Made with Whole Grains and Natural Sweeteners (Chronicle Books) is the culmination of many years of baking for vegans. *Big Vegan, Over 350 Recipes, No Meat, No Dairy, All Delicious, is a celebration of just how satisfying and alluring plant based cuisine can be. *The New Vegetarian Cookbook, brims with her creative and fresh takes on meatless cuisine. *The New Whole Grains Cookbook, is filled with flavorful, beautiful food that just happens to be whole grain. 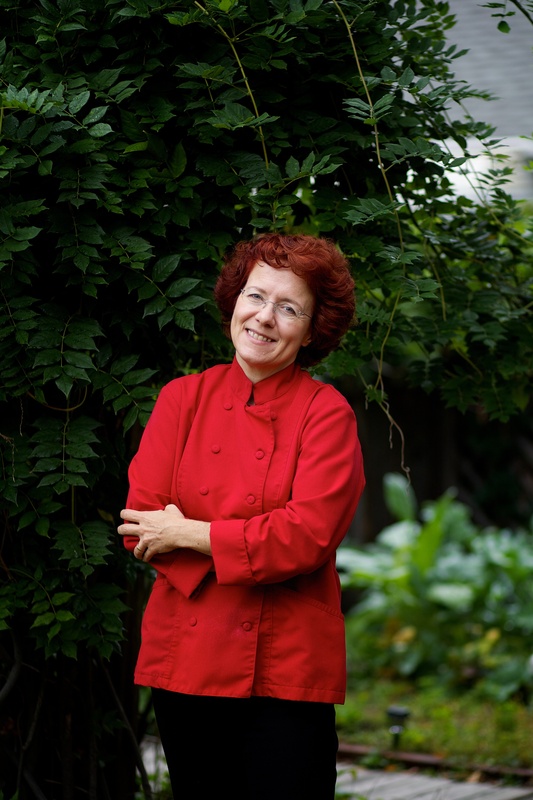 Robin has been cooking and creating recipes in the Natural foods business since the mid 80's. What began as a side job in college turned out to be a lifelong career, when she realized that her true passion lay in helping people discover healthy, organic food. After baking and cooking with whole foods in restaurants, delis and Coops for many years, she started working as a Private Chef in the mid-90's, creating fabulous food for the fabulous. She also writes for magazines and websites like Yoga Journal, Real Food, Vegetarian Times, Experience Life, Taunton's Fine Cooking, Mother Earth News, strongertogether.com, and others. She posts recipes and blogs at robinasbell.com. Robin also teaches popular cooking classes in Minnesota and around the country. www.robinasbell.com,her website, is the place to go to find out if she is coming to a place near you!